Royal Kingston K-9302 Children Baber Chair is a high quality and traditionally styled chair. 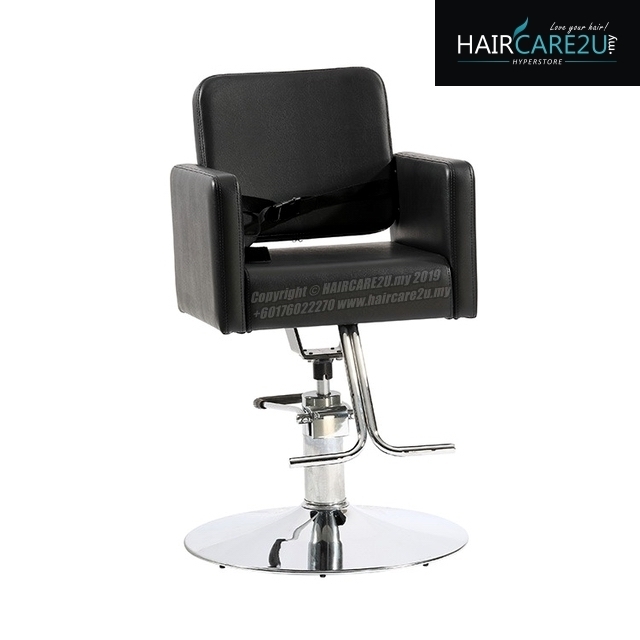 The chair features a comfortable footrest and a seat belt for added safety. It is supplied on a heavy duty round hydraulic base for great stability and easy height adjustment. The chair locks into position to prevent any unwanted rotation while in use, and is finished in a hard wearing, easy to clean black upholstery. Ideal for any Barber Shop or Hair Salon. It can go a long way towards keeping your youngest, and sometimes most exacting customers happy! By having a dedicated chair for children visiting a barber shop, salon owner can make younger visitors feel more special and keep them comfortable while they are having a trim. Features to look out for are a raised seating position for ease of cutting. Height min 74cm & max 90cm.